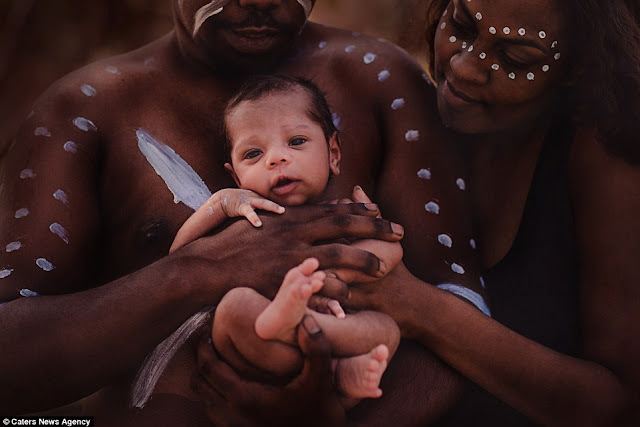 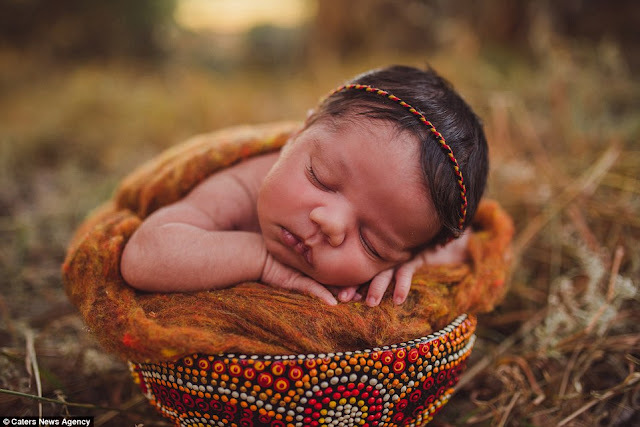 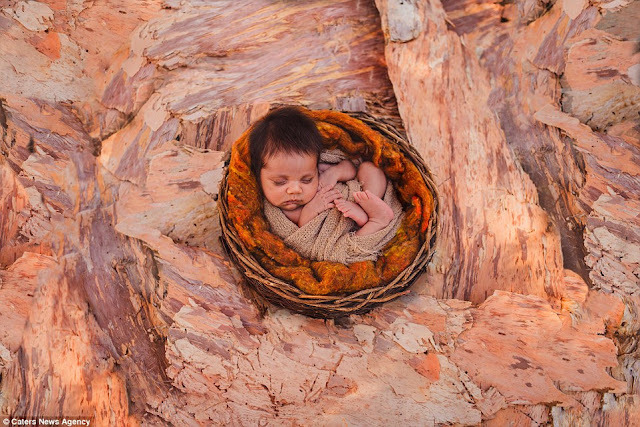 An Aboriginal photographer has captured heartwarming photographs of newborns with their mothers in traditional surroundings to celebrate sacred rituals. 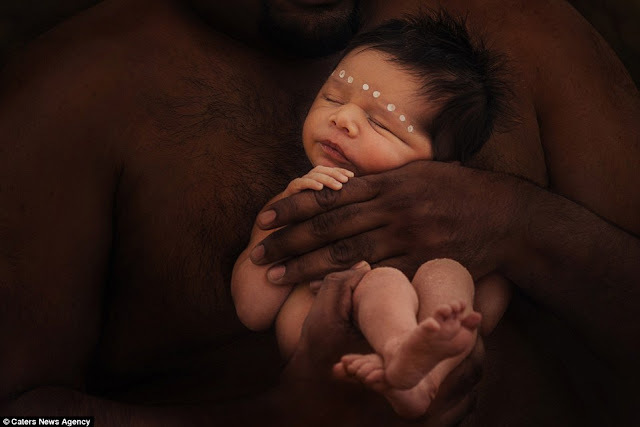 Australian photographer Bobbi-lee Hille, 29, has paid homage to her Indigenous culture with stunning images of babies, with traditional Indigenous props and tools, as well as Aboriginal dot paintings. 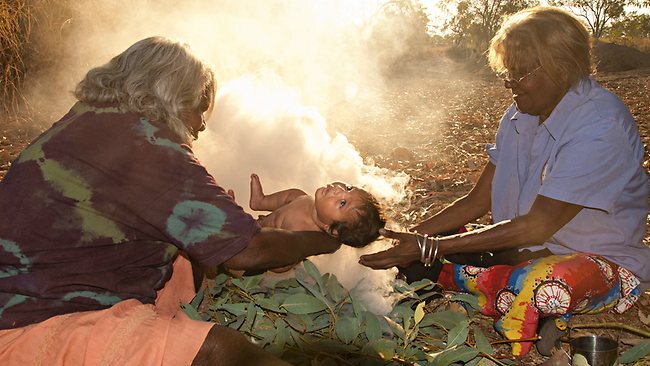 Captured in a harmonious environment, the mesmerizing photographs give an insight into Aboriginal culture and traditions. The mother-of-three, from Perth in Western Australia, believes her project called Milyali Art - meaning newborns in 2015 - is even more important as mainstream education and that the media often neglects Aboriginal culture. 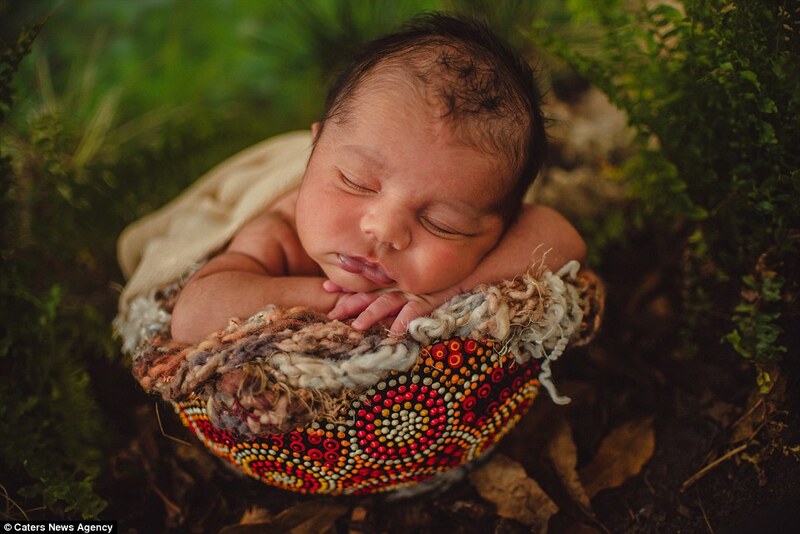 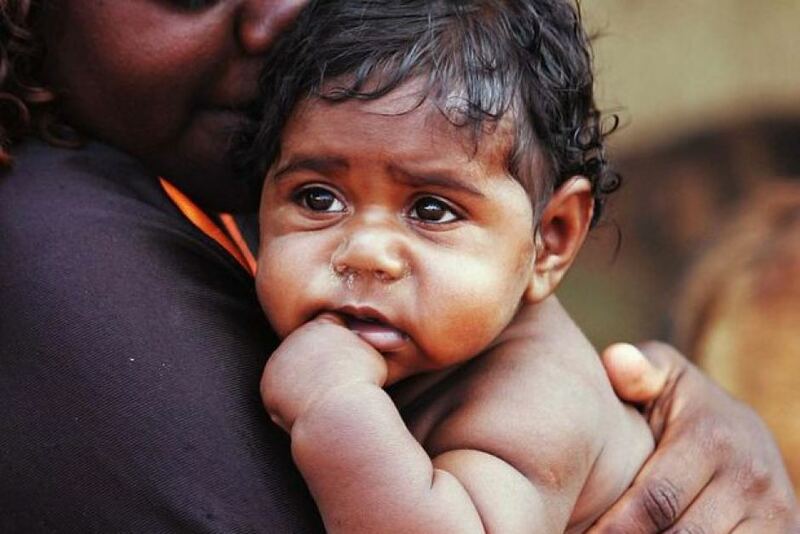 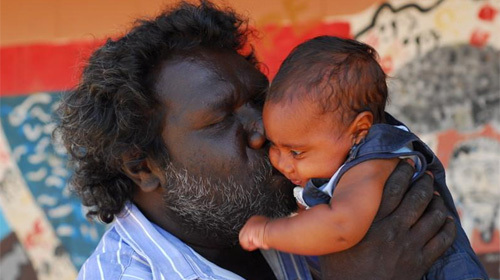 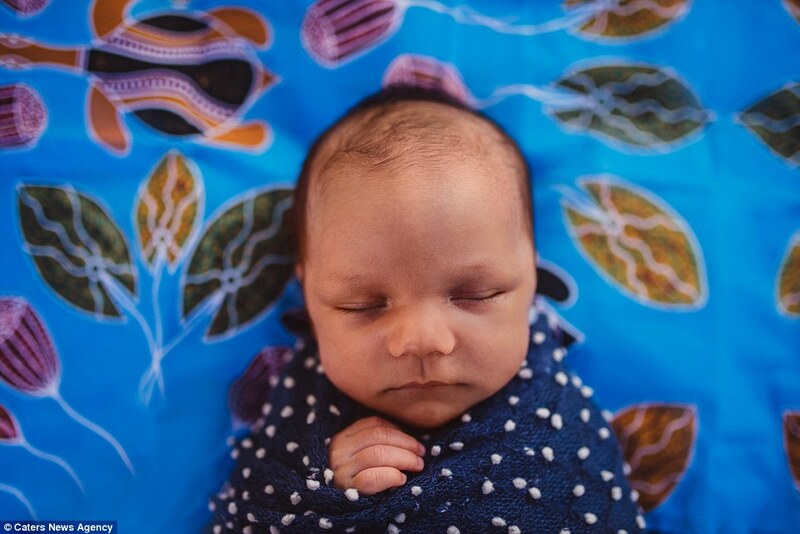 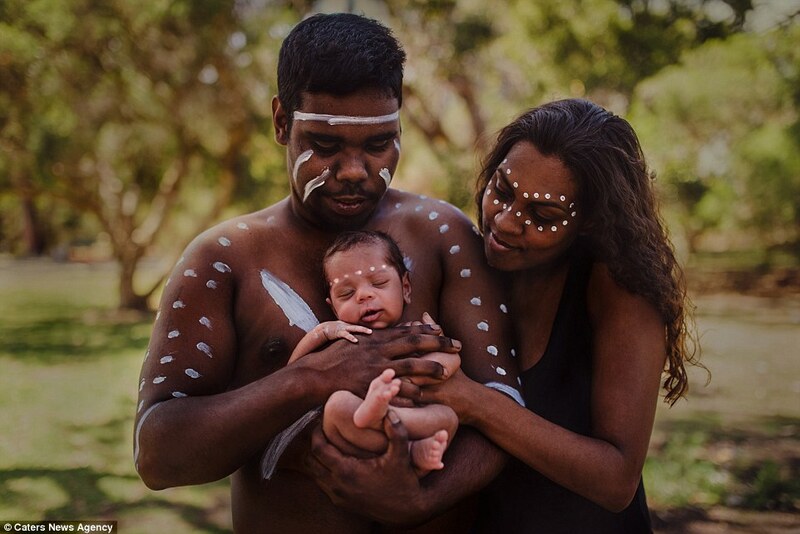 Responses to "Breathtaking photos of Aboriginal newborns show the beauty of sacred rituals"